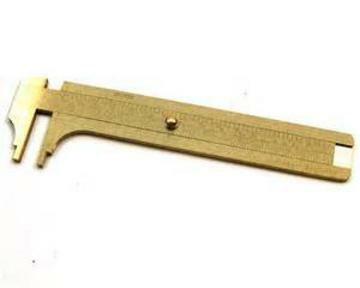 A caliper is a device used to measure the distance between two opposite sides of an object. The tips of the caliper are adjusted to fit across the points to be measured, the caliper is then removed and the distance read by measuring between the tips with a measuring tool, such as a ruler. Great for Measuring all your stones!